The next seminar in the 2015–16 History of Pre-Modern Medicine Seminar Series takes place on Tuesday 10th November. A woman covers her eyes as she steals the teeth of a hanged man. 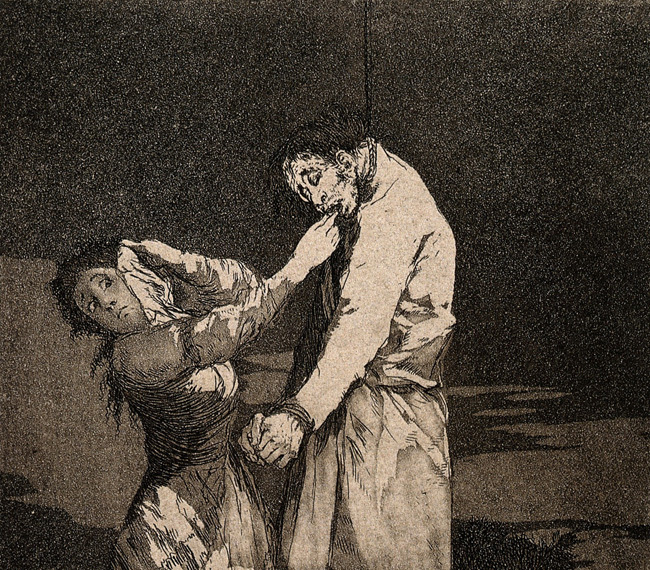 Aquatint with etching by F. Goya, c. 1797. Iconographic Collection no. 18059i. Wellcome Images V0011973. 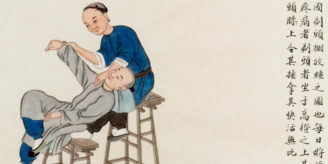 The use of criminal corpses in early modern healing has been explored in a number of studies, likewise the role of the continental executioner as quasi-official healer. So this talk looks at subjects that are usually considered to be early modern topics (rather like European witchcraft), and assesses the extent to which, and in what ways, ‘early modern’ corpse medicine and the executioners’ healing function continued into the 19th century. To this end, the talk will consider the effect on popular healing practices of changing execution and post-mortem punishment practices across Europe, such as the use of the hangman’s rope, and how in popular medical beliefs the criminal corpse was thought to give life through its touch, blood and body parts. The impact on corpse medicine of the changing status of the executioner and the rise of new custodians of the criminal dead will also be considered. 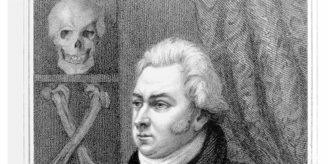 Those interested in this topic might also check out Owen’s article co-authored with Francesca Matteoti, ‘”A virtue beyond all medicine”: the hanged man’s hand, gallows tradition and healing in 18th and 19th century England’ in the latest issue of Social History of Medicine, 29.4 (2015), 686-705, which is available Open Access at the SHM site. Was this presentation filmed, and if so, will it be made available online at some point?